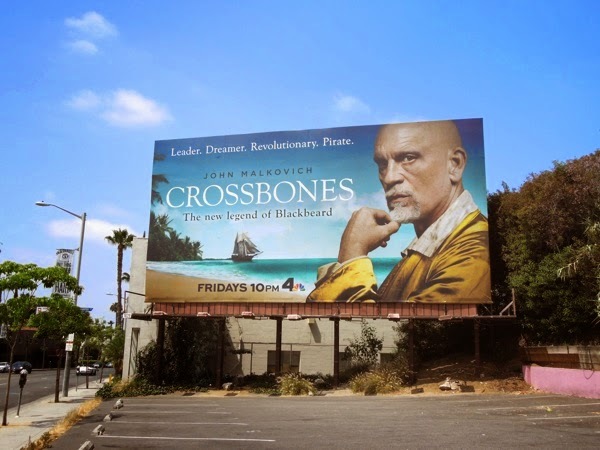 Avast, Ye Mateys, it looks like NBC wants a slice of the pirate pie this Summer season with its new original series, Crossbones. 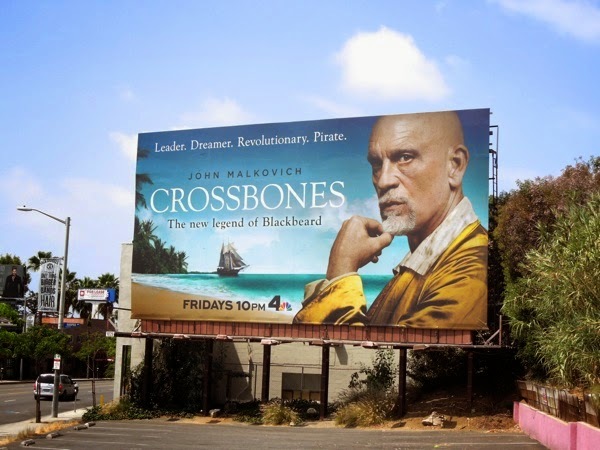 However it appears John Malkovich didn't get the memo about playing notorious pirate 'Edward "Blackbeard" Teach', as that looks more like a grey beard to us here at Daily Billboard. Regardless it looks like NBC is coming to the high seas late, as this ship may have already sailed in Starz original series Black Sails, which also takes place in The Bahamas around the infamous cutthroat island of New Providence. 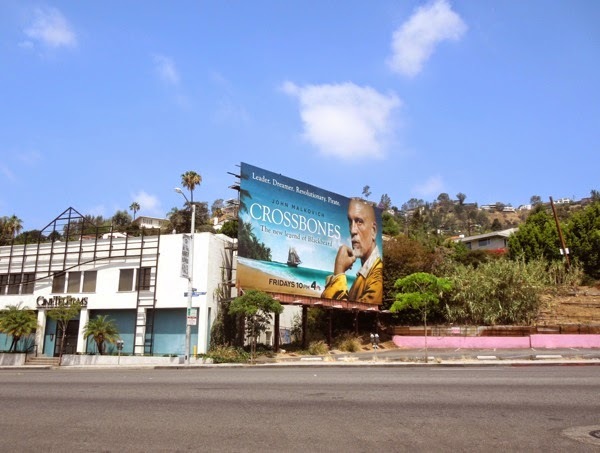 Starz really invested heavily in promoting their new pirate show with an array of giant-sized billboards for the series launch and a spectacular dueling cannon special installation for Black Sails along L.A.'s well travelled Sunset Strip. 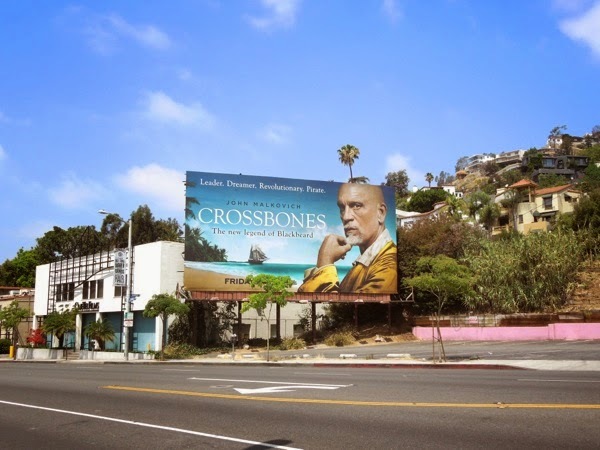 Meanwhile this comparatively low-profile series premiere billboard for Crossbones, which is based on Colin Woodward's The Republic of Pirates book, was snapped along Sunset Boulevard in West Hollywood on May 25, 2014 without much fanfare. Let's hope the accomplished movie actor can inject his own special brand of mystique to the legendary pirate captain and help captivate audiences. Plus if you're a fan of the enigmatic actor, be sure to also check out John Malkovich in these movie billboards for Red and Red 2.